Online Registration will open October 8th! Description Calling all Princesses and Princes! You’re invited to join Cinderella for a magical hour of royal dancing, games, prizes, and a perfect princess tea party! 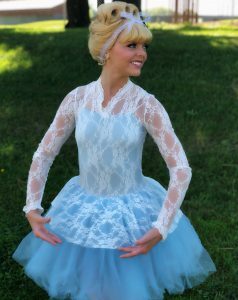 She’ll be trading in her glass slippers for a pair of bibbidi-bobbidi-ballet slippers for one day only! Don’t miss out on this royal event.